Adds color to the walls of a kitchen and will achieve an immediate change. A cool color like blue adds elegance to the environment. 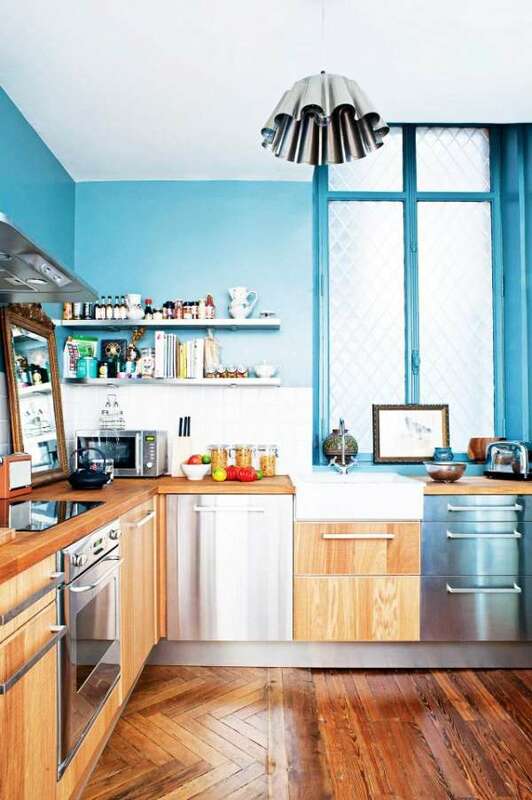 A new color can be applied to any of the walls, and doors and windows of the kitchen. Another idea kitchen design is to choose the decorative accessories with an original look. A lamp created with a kitchen mold can be a plus style to the decor. Kitchen furniture mixed materials, such as steel and wood is another trend. Incorporates mirrors and paintings to decorate the kitchen and get a unique and attractive.